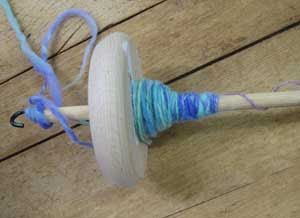 So my new found obsession continues....the spinning yarn thing. 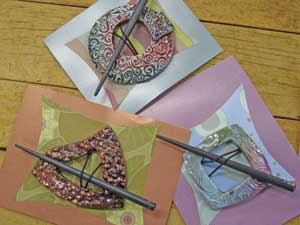 The drop spindle is such a basic looking tool. I have to admit I like a challenge. I like to do things that other people ask "why"? I have been asking lots of people if they spin, the response is yes to a spinning wheel but no....not really to the spindle. 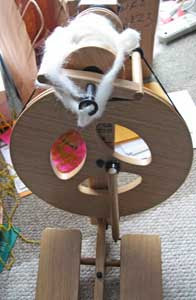 The common theme is that once you spin on a wheel you will not want to bother with the spindle, it takes too long. That being said, I watched a couple you tube videos and tried to teach myself. It didn't look that hard but I just couldn't get it started. THEN...in walks a customer and innocently asks about the drop spindles that I have distributed throughout the shop. I ask my spinning question and loa and behold she does spin on a drop spindle(and wheel as well)....and then even beyond that....offers to teach me! How can a girl say no to that???? The next hour was a delight and I now have some yarn on a drop spindle to show you. She is very excited about this upcoming Saturday and promises to be there. Thank-you for the lesson! Sometimes is is just fun to make something unexpected and watch the reactions of people as you pull them out of your bag....that is how it is with these fun little hearts(just in time for Valentines Day of course. 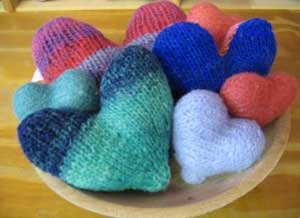 The multi colored hearts are made from the Noro Kids Collection of patterns. The little delicate hearts are made from the Mags Kandis book called Gifted. You still have time and we have the supplies! The baby hat is a winner. 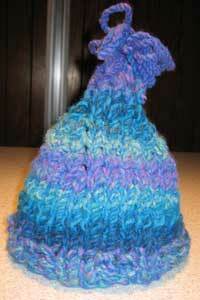 I was tired of moving things around at the store this past Monday and wanted to knit. I picked out this ball of Big Baby and grabbed the Blue Sky Bulky Baby hat pattern and guess what I had in less than an hour. 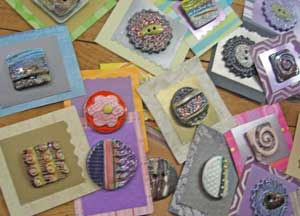 How can you say no to this baby project that takes less than an hour and costs less than $15.00?